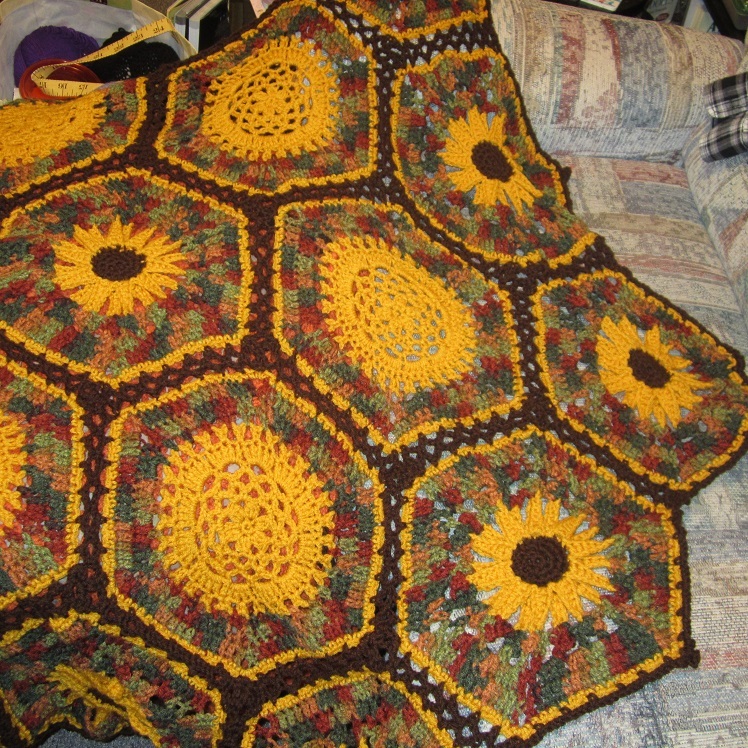 Check out this sunflower blanket I made for my mom awhile back! She was soooooo happy with it! 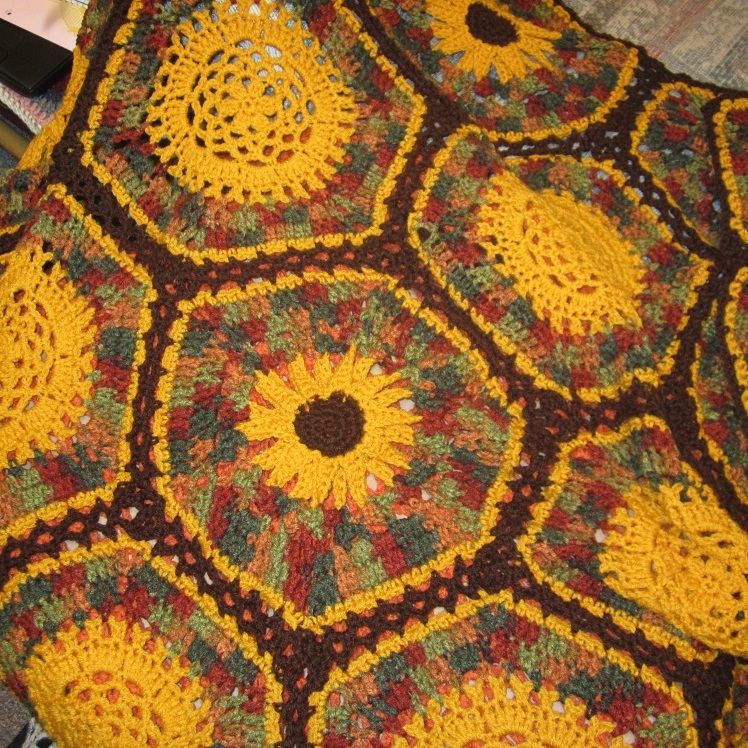 The pattern is from a crochet magazine I had on hand , and you can buy it here. I saw some pictures where people used Christmas colors on this and those were cute too!